Rarely seen today but in a very few remote locations, but at one time the most important small building was the home’s ‘outhouse’ or toilet facilities outside the house by many yards in distance – not indoors. 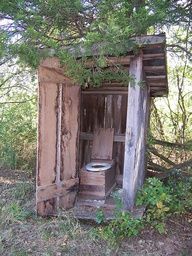 The outhouse had a seat and a hole, no plumbing needed. It would average 3 to 4 feet square by 7 feet high. It was also referred to as a necessity house. 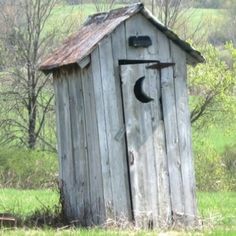 Most of the time the family had but one outhouse, so need for a special marker. 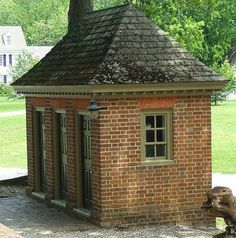 But some locations or government buildings, serving many people would have 2 or more outhouses. Since not everyone could read a symbol was placed on the door to the outhouse, one for women and the other for men. The crescent moon or moon indicated the ladies room (womanhood) while a star or sunburst represented the men’s room, this goes back to colonial times. It was a cutout in the wooden door to serve as a vent allowing air could come into the toilet facility besides providing a symbol. 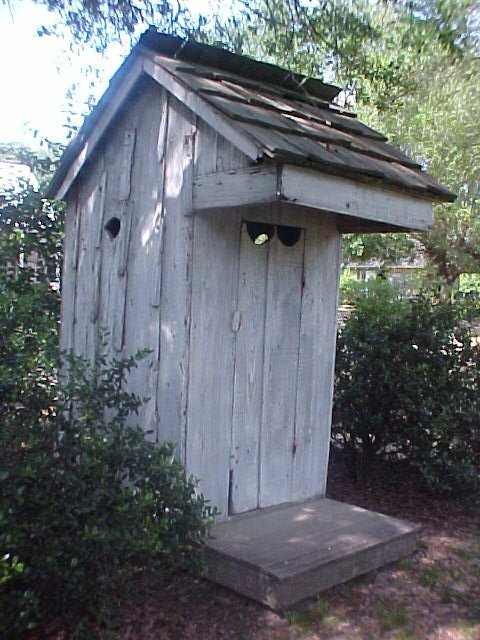 Check with some family relatives and see if you can learn of your ancestors’ experiences with an outhouse. Photos: Rural wooden outhouse; a colonial fancy outhouse in Colonial Williamsburg; outhouse in Missouri; and a one seat outhouse in Tennessee.